Half of those who took part in the trial saw the length of their migraine reduce when they took the drug erenumab. Migraine is up to three times more common in women than men. A BREAKTHROUGH STUDY on the effects a drug has on reducing migraines has been labelled as “a huge deal” and “the start of real change” by scientists and health experts. The results of the study, published in the New England Journal of Medicine, tested a new drug called erenumab’s effect on 1,000 people who suffer from migraine attacks over a period of six months. Of the number who took part in the trial, 317 were assigned to the 70-mg erenumab group, 319 to the 140-mg erenumab group, and 319 to the placebo group. The drug reduced the days where patients suffered from migraine attacks. The research revealed that between months four to six, a 50% reduction in mean migraine days per month was observed in 43% of patients, while half of patients injected with the higher dose of 140-mg had such results. However, those given a placebo also saw benefits, with 26.6% of participants in this group experiencing such a reduction. The study concluded that the drug erenumab “significantly reduced migraine frequency, the effects of migraines on daily activities, and the use of acute migraine–specific medication over a period of 6 months”. It added that testing needed to be done on the long-term safety and durability of the effect of the drug. Although there are no non-prescription cures for migraine, there are studies working on one, while others are calling for migraine medicine to be made available over the counter. 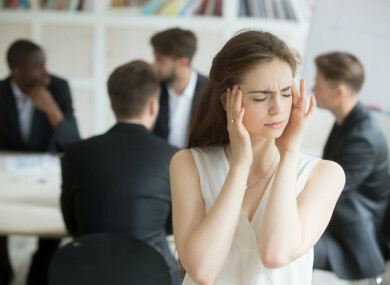 The World Health Organisation ranks migraines as the 7th most disabling disease worldwide and classifies severe attacks as among the most disabling illnesses, comparable to dementia, quadriplegia and active psychosis. But Irish migraine specialist Dr Patrick Daly said that “it doesn’t get that recognition in the general populace” and described migraine as a brain disorder. “It’s a brain malfunction with a headache,” he said. There are approximately half a million migraine sufferers in Ireland, meaning that it affects more people than asthma, diabetes and epilepsy combined. Email “'Real change': Breakthrough drug could halve length of migraine attacks”. Feedback on “'Real change': Breakthrough drug could halve length of migraine attacks”.